Pushed out, simple as that. They also cancelled their Hamilton-Orlando Melbourne route, no one was competing with them on that one. People don't really want to fly an airline that charges for carry-ons. European airlines don't charge for carry-ons. Even the lowest fare ones. Canada is not Europe. Canadians aren't Europeans. Dramatically different market, dramatically different people. Point being the nickle and dime game. I'd fly them because even after paying for luggage, they are far cheaper than AC or WJ. Can't beat $150 to Vancouver or $300 to GTA. Thing is, WestJet is pretty much matching NewLeaf prices on their matching routes. So, do you go with a known airline, WestJet, with free carry ons and a special price, or choose NewLeaf who's still unfamiliar but is the reason for the low price? Going with WestJet seems better in the short term, but if NewLeaf doesn't make a go of it, we say good-bye to low prices. My wife flew Edmonton-Hamilton and it was fine, we will continue to support new leaf on that route even if weather's deal is equal because we want them to stick around and we know that WestJet won't. Just so everyone knows, a small (under-seat) carry-on us free, it's the big overhead bin ones that are not. It actually makes some sense to avoid the over-filled bins and time-wasteing gate-check that happen when checked bags cost but carry-on is free. Discount airline seat reseller NewLeaf Travel marked its first anniversary Tuesday by changing its name to Flair Airlines. 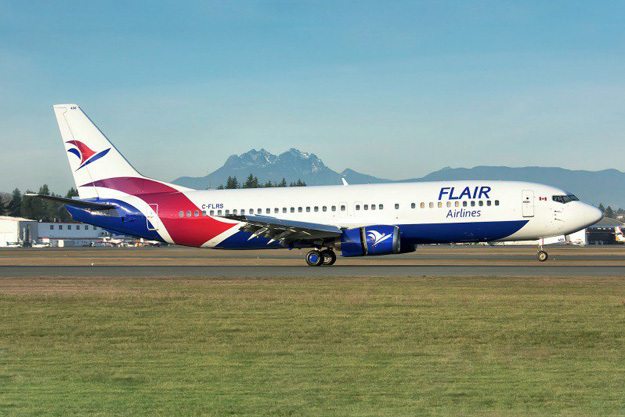 NewLeaf was bought June 7 by Kelowna, B.C.- based Flair Airlines, which had been supplying NewLeaf with aircraft and crews, in a move designed to bring airline operations and marketing under one roof. Over the past year, Flair has flown 320,000 people and completed more than 2,600 flights across Canada, according to a news release. Flair Airlines says it intends to expand its route network over the coming weeks, although details haven’t been released yet. Celebrations with passengers are being held Tuesday at airports where Flair is departing, and the company is offering an 11 per cent discount on all bookings made during the day. Boarding passes will carry the new name, which will also be shown at all airports. The current schedule will continue to operate as planned. When NewLeaf was started in July 2016, it positioned itself as an ultra-low-cost option that would undercut Air Canada and WestJet on price. Six months after it launched, NewLeaf dropped several cities from its schedule. It ditched plans to fly to Phoenix and Orlando, blaming WestJet for squeezing it out of the market. Flair took us for $270 RT each with no luggage and a pre printed boarding pass.$560 RT for 2 as opposed to $1200+ ,on WJ and $1400+ on AC. This is NOT simple nickels and dimes. I am saving thousands not hundreds when I fly home. WJ and AC are disconnected. I'll continue to fly where I can get the best for my money. Right now..Flair is the one. Last edited by cnr67; 25-07-2017 at 04:36 PM. Recommend a renaming of this thread to "Flair Airlines". One of these days I'm hoping Flair will pick up the slack left by WJ on the Edmonton-Moncton via Hamilton route. ^ Absolutely. Are you listening, Flair? So with YEG becoming Flair's main "transfer hub" it is in YEGs best interest to see Flair grow and thrive. How can the airport help support this airline which has chosen to utilize YEG in this manor without alienating other airlines that still give us important routes. I flew on Flair a couple of weeks ago from Abbotsford. Plane was full. Flight was fine outside of getting to Abbotsford. I checked my bag as it was cheaper. Checked bag was $25 plus tax, carry on was $31 plus tax if booked on-line. Prices escalate if you check a bag at the counter and it is more at the gate. The person at the gate announced that a late checked carry-on would be $80 plus tax. I did not see anyone carrying around bags with any indicators on them to identify if they were paid for as carry-on. I only saw one back pack with the typical airline luggage tags. Does anyone know how they monitor this? Would it be indicated on your boarding pass? I would have thought there would be some tag given to put on your carry-on at the check-in counter to prove you already paid for your carry-on. Looks great minus the awkward placing of the Flair Airlines name above and below the windows near the front. I flew with Flair Dec 17 - Dec 20 to Kelowna and back. Quick stopover in Vancouver both ways but didn't have to disembark the plane. Although there are some definite growing pains as I found they were slightly disorganized when it came to check-in, I am overall satisfied with how the trips went and will fly again. Last edited by Mla; 28-12-2017 at 09:19 AM. Reminds me of BA a little. Can we refer to them as Speedgoose? So much better to see a creative aspect instead of the boring livery that is AC. Well done in my eyes. Is there any word on proposed addition of aircraft or expansion into US markets? I think the livery looks great. Think it is a nice balance of not being too conservative but also not too far out there. I will be doing my part to support these guys and i hope the region does as well. Not very often do we have the opportunity of an airline calling YEG their HUB so i think we need to make the most of it, you never know what Flair could turn into. This will be that much more important as others like SWOOP and Jetlines potentially fire up their operations and create quite a bit of competition in the market. Ward turned into Canadian after, so both are Edmonton products. I've flown on this particular plane countless times on FBO flights. This metal was designated for Edmonton. The wing does not have that upward curve and that is how I recognized it. Flair Airlines updated their schedule to December 2018. They'll operate 35 weekly flights from YEG. Great to see for our domestic number growth. My wife flew to YXX the other day. Quite pleased with the price saved about $100 and the service all around. $2.50 for a decent cup of coffee and a cookie which she didn’t mind paying. Indeed. Seems as though many folks I know are booking weekend trips to visit fam/friends because of the low-fares. They should get Ric Flair to do some commercials. Any word on Flairs proposed expansion into the states and rumours regarding Air Canada Rouge coming to YES. Also booked a June flight to San Fran on Air Canada’s new flight - $650 return for 2 - great price. I have been telling everyone I know to be sure to look into Flair for their travel plans. A huge opportunity for YEG. ^ Me too. Especially people travelling to and from BC. With such cheap prices I don't know who wouldn't go with Flair. The BC flights are nice and cheap. I looked at flights to Toronto and they are the same price, round trip, as WestJet and AirCanada. I will be using these guys for any BC flights for sure though. Only issue for me is Toronto is not my final destination when I go to Ontario so I'm not one who likes to book flights on two different airlines for one trip. Call me weird but it's not worth it to do so flying in Canada. Interesting development at Flair Air. KELOWNA, B.C. - The founder of Canada Jetlines is taking over as chief executive of Canadian discount carrier Flair Airlines Ltd.Jim Scott replaces Flair founder and former president Jim Rogers, who will remain an adviser until 2019 after selling his shares in the Kelowna-based company. i wonder what this means for Jetlines and if he will keep the same model for Flair Air? I don't know who wouldn't go with Flair. I don't, simply because earning miles is very important to me. Having said that, family members are flying Flair. It’s exciting to think they will be adding 2 planes in 2018. Given their current fleet of 7, 2 new planes is a big deal and will make it possible to have greater frequencies which is something I will be looking for to make them an airline I decide to fly on more often. The other thing, as mentioned above, is a rewards program. No guarantee they go for something like this any time soon as that is an expense to operate. I've heard this a couple times already. Has anyone else? Not offhand. I just keep having Jetsgo flashbacks. I wouldn't put it past WestJet. They don't seem to be huge fans of competition. If I were the government I would not approve such a merger it is clearly against the public interest. The feds don't seem to be huge fans of competition either. Seems odd they would appoint a new CEO one day only to be bought out the next. The rumour probably has no legs. How can you make such blanket unsubstantiated statements when the feds have new guidelines for owners of airlines to increase foreign ownership from 25% to 49% to stimulate competition. They already made exceptions for Jetlines to increase foreign ownership for this very reason. ^ I was making a flippant remark about this country's love of oligopolies - airlines, banks, telecoms, gas stations, etc. I was also thinking back to the justification for allowing the merger of Canadian with Air Canada because having both airlines was deemed "a duplication of services" rather than competition. So yeah, I've long held little trust in our so-called Competition Bureau. I've personally been involved with M&A's on a team with a CEO who distinctly was meant to clean house in order to set up the acquisition. One source is a bit wishy washy, but the second is not so much. AC isn't remotely interested, but with WJ wanting to scale fast, a personnel shortage, and an already established fleet with Flair, this rumor has more than legs. I'm not advocating for an acquisition, but it is very plausible. (...) I was also thinking back to the justification for allowing the merger of Canadian with Air Canada because having both airlines was deemed "a duplication of services" rather than competition. Without going into detail, the Bureau's comment on duplication was more accurate than not. Canadi>n was done for. Onyx failed. The industry was in turmoil. It took some time for it to recover, and the demand was weak. I'll spare you the nauseating details, but the mid 1990's sucked. Honestly thinking, with family in YVR, storing some clothes there so I can just walk on, walk off and save addiutional fees for an on-board treat. Dad Captained these for 20 years with 3 airlines. Even the Tailfin Goose livery was interesting, and uniquely Canadi>n. The interviewer didn't even talk about their presence in YEG. It was the CEO who mentioned that YEG is their largest base. Good to hear - I have already taken them once and plan to do so again. Hopefully they can continue to take advantage of other carriers' lack of awareness of YEG market and build up their hub here. Not a bad strategy to fend off Swoop and rouge, both of which are going to focus obsessively on YYC in the west. Flair can maintain a position of strength by focusing instead on YEG. I thought the CEO performed well in the interview. He is clearly focused on building up the network and company. Swoop has been hiring flight attendants and pilots on Hamilton and Abbotsford, nothing in Calgary. We have friends in Barrie who are flying out to Revy to go skiing with us (flying in to Kelowna). They mentioned they booked their flights and I asked if they looked at Flair. They weren't even aware of the airline. I shouldn't have mentioned it because it turns out Flair would have been $200 pp cheaper. It's not like they're not travellers. Mostly international stuff though. Maybe they don't have enough planes yet to do a full advertising blitz. The fact you mentioned that they don't have enough metal is my concern for their existence. I have flown them multiple times while they serviced the BFO flights. They have two big planes both are Boeing 737 and propeller planes. That is not enough to compete, so they will most likely go under. What I do see in the outcome of that is Caribou North and Canadian North along with Flair almalgamate into one. Once these three team up, they need to align with porter. Porter covers the east and the new amalgamation cover the West. When time comes, the east and west join together for a formidable third needed carrier. The way it is right now, they won't survive as it is only a matter of time the big sharks get hungry and swallow them. In terms of the hub system, they did exactly what i had suggested- long before they decided to take on commercial- which was to stay away from where WS and Air C... have established their bases. I believe they have 6 737-400 currently, not 2? As well they have 737-800's on order for 2018? Maybe they have that number now, but a couple years ago , they had two. The newly painted metal on post 133 was for Edmonton departures for FBO as I recognize the wings of that plane where it has no upward curves at the end. The other plane was for Calgary as it has the curve factor. That aside, they will still get swallowed up. I'm very positive of a third carrier in Canada, but, as I mentioned, the four carriers that I listed must cooperate with each other and become one to compete with the two sharks. The sharks have too deep of pockets and they can afford to lose money to drown out competition. They have seven planes none are props. They brought Jim Scott in from Jetlines who had apparently secured foreign investment for them and one can only assume he will try to get foreign investors for Flair. This is the best hope for this airlines survival now that the government allows 49% foreign ownership. With a pax load averaging 80% plus, I don't see them going anywhere.A merger is not going to happen as CN and caribou are not ULCC oriented and do not fit the business scope of what Flair is doing. Totally depends. Air Berlin lost money for years while all the time having a load factor greater than 80% before finally going broke last year. And you sat through how many investor/executive meetings to learn that the other two have no interests in expanding their horizons. All three airlines are not fresh start-up operations, so when FBO came to reality, they jump at the opportunity to expand their horizons. Companies will always expand if there are opportunities to do so. "Amalgamation" was a light term I used as buyouts or take overs could occur. This is an overly simplistic way to look at it and you are ignoring a few things. First, the airline industry has changed in the last 5 years and no one has noticed. All the airlines are making billions of dollars. Including Air Canada and Westjet, and especially the US carriers. There is plenty of room now for Flair as a third national carrier. Bet on it. Plenty of profit to go around. Second, the leadership at Flair has departed from their fixed base operator past. There would be no benefit to merging with Caribou air. Why? Because that would introduce a totally different business model (niche local carrier versus national low cost carrier), and another aircraft type (this is anathema to low cost carriers). Merging with Canadian North might be an interesting idea, but Canadian North is not exactly for sale. Also, Canadian North is a relatively high-cost niche carrier focused on northern destinations. Again totally opposite to what Flair is trying to do, and really just a distraction to their strategy of mass transportation among the large Canadian cities. At this time, if they can get their cost structure to a point that is lower than the 'big sharks' (which it already is), it would be difficult for them to 'swallow' them. It was equivalent or a DC 11 style two propellers. It was that one particuliar time as the non curved winged Boeing was full, and I got the short straw and a handful others. I remembered the paint work on It which was primarily dark royal blue or black with gold on the name at the rail. Always the same crew on the same planes, so I wouldn't be surprised if I fly them now that some will recognize me as I always sat at the back and laughed it up with them with jokes etc. The crews were a great bunch not to mention a few eye candies at that time. 1). Show me concrete proof your inside info of their strategies, and future interest , and i will believe you. 2) You mentioned that both airlines are making incredible returns. What has flair earned? The ones with billions will drown out the new comers- at least it's my strategy. With billion in profit vs a start up, the billion profit can the new comers cheap price in half and endure the survival. New comers cannot. I live through the Air Canada disgusting strategy over Canadian Airlines. The difference back then was one on one ( with government subsidies for two bail outs to one courtesy of tax payers. newby. Both of those airlines are planning low costs again. How do you propose they fight the two bullies with billions in profits over the years. This new company would be glad to reach .5 billion profit since their existence which I doubt if they have even garner that. You debating with a paint by number process instead of actual painting. You got to expand way outside the box. Just to show you how i think, if i was one of those two major airlines final decision maker, I would even jab the knife to that wound some more by throwing in a bonus such as every nine flight you take with us, your tenth flight will be free anywhere in Canada for this two or so year span timeline. You think the newby can compete like that? That was in part due to expansion beyond their capabilities. That said, Flair has plans for only 2 aircraft in the next 2 months. What routes they plan are another story. 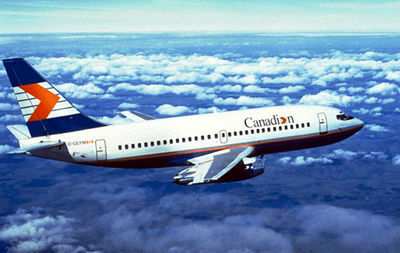 As well, when WJ began, they had 3 old 737-200's from Canadian Airlines.What did AC do? They started Jazz, Tango and Zip. Why? To put WJ out of business. Decades later, Westjet is expanding. How? By starting a discount airline on top of Encore. .Westjet is pulling the same crap AC did on them and failed at. This country will embrace the discount airlines considering how many people who border hop to avoid the HUGE fares in this country. I know several that do and have said they won't if the ULCC's offer what they want. Alot of revenue waiting to be gleaned. Last edited by cnr67; 31-01-2018 at 10:38 PM. It was equivalent or a DC 11 style two propellers. It was that one particular time as the non curved winged Boeing was full, and I got the short straw and a handful others. I remembered the paint work on It which was primarily dark royal blue or black with gold on the name at the rail. Always the same crew on the same planes, so I wouldn't be surprised if I fly them now that some will recognize me as I always sat at the back and laughed it up with them with jokes etc. The crews were a great bunch not to mention a few eye candies at that time. They did have 1 small twin. http://www.airfleets.net/flottecie/Flair%20Airlines.htm BTW....There is no such type as a DC11. There were DC (Douglas Corporation) 2,3,4,6,7 ,8 ,9,10 And the MD (mcdonnell douglas)11. Twin prop? Ft. St. John ... wild guess but sounds like a CMA Beachcraft 1900. One seat each side of the aisle? ctzn-Ed is right. Just got notification of Swoop's (one-way) deals. Feel like they're operating this solely to kick Flair out of the way. The link above gives you the info. Embraer 175 was the equipment. The same BS stunt AC pulled on WJ years ago. THAT will cement my distaste for them further than it is. How quickly they forget the crap thrown at them when they were just starting out. They can match Flair...I won't fly with them. ^Yup me neither. People at work were all talking about Swoop today. I was quick to defend Flair but I'm worried for them. So were the folks at WJ back then. They have what looks like a good business model and unlike WJ at the time, have been in business 12 years already and have that experience to draw from. I don't appreciate how WJ is implementing this. They have Encore. REALLY....Do they need a 3rd airline? That is why I suggest those four airlines combine. They have metals collectively to actually compete. As long as they merge and keep the business model they now have. 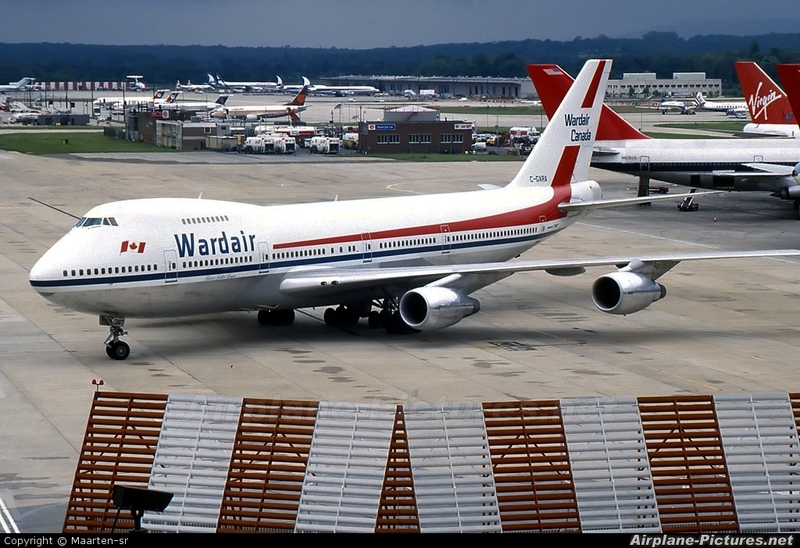 WJ touted itself back then to be that discount carrier. The OPTION to high airfares.. And today... THEY are one of the problems. In any case, this country loses million when people border hop to save money. Hopefully the ULCC model can take back some if not the majority of those folks and keep the business here. Major as yet unannounced service expansion from Flair now loaded into schedules on their website. Appears to be Toronto-Pearson bumped to 3x daily, NEW service to Victoria, Vancouver increased to 2x daily most days, Abbostford increased by a few frequencies per week, Halifax added as direct (1 stop), Winnipeg bumped to 2x daily from 1x on most days. This is what it is like to have an airline hub here folks. Good news! Excellent news and great to see. ...and the rumour mill now is that Flair and others will aunch the discount carrier service from YQF to YVR, YLW, and YYZ. They did a huge expansion of their runway capacity in 2016. If this is true, it looks like Flair has markets a-plenty. This wouldn't be good for Edmonton (or Calgary) if they launch out of Red Deer. Vast majority of passengers would be driving from either of the two cities. Point is they won’t if the discounts fly out of YYC and YEG. With YEG being the hub for Flair and the increase in flights announced would it not be a good idea to try and get our two international carriers involved in some sort of deal with Flair to try and feed them passengers? Noooooo! Let them grow organically with potential of Alliances/ amalgamations of Porter, Cariboo North and Canadian North. If they can do that,go after an international Alliance for international destination. A.C. and WS has their route of course charted and established. Any involvement with the giant, could easily derail their asperation. As long as we support them , we are good. Both KLM and Icelandair already have a deal with WestJet. Lots of traffic out of Central Alberta Region to use YQF to fly YLW and YVR or to YYZ. From Rocky Mountain House to Stettler; from Ponoka to Didsbury; a low frills no hastle product out of YQF could cause some leakage from YEG and YYC. ^Typically ULCC fly out of secondary airports where they can dictate terms and offer lower prices. If they are operating out of the major airports in Alberta they would simply be competing with themselves. Why would anyone from Didsbury not drive to YYC to catch a flight where they have a much better schedule and destinations to choose from? I just don’t see it. Flair is calling themselves a Premium LCC (PLCC or PULCC). This is more comparable to interjet of Mexico. Don't see them building up too much of a presence in Red Deer.